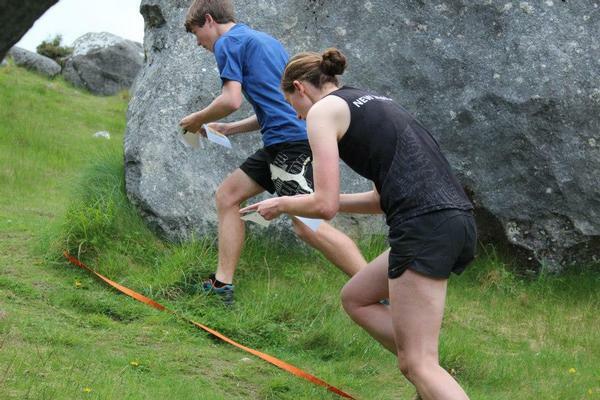 The 2013 Canterbury Orienteering Champs over Show Weekend marked the third round of the SuperSeries and the last chance to secure valuable points ahead of the final race in St Arnaud at shores of Lake Rotoiti at the start of December. The Middle Distance was held on the Tuhaitara near Woodend, the Sprints at Kura Tawhiti near Castle Hill and the Long Distance at Acheronnear Lake Coleridge. A highlight of these events was the competition between Nick Hann and Chris Forne. Hann blitzed Forne on the sand dunes at Woodend Beach, then confidently backed this up on the rocks of Castle Hill before finally succumbing in the forest. With Forne missing the Super Series final at Rotoiti because of the Adventure Racing World Championships in Costa Rica, their rivalry will hopefully resume in the new year at Sprint the Bay in the Hawkes Bay in February. In the womes elite Georgia Whitla stamped her mark on the competition winning all three days. Laura Robertson and Lara Prince ran her close at times, but Georgia was running strongly and seemed very in control. In the junior grades there were some good one off performances from Matt Goodall, Lauren Holmes, Lauren Turner, Ed Cory-Wright and Alistair Richardson.